With more and more of our information on-line through social media outlets, and companies going digital, it can be easy to forget that digital space doesn’t operate under the same rules that physical space does. If someone wants access to physical documents they have to be present. Keeping important documents in your home feels safer, because its fairly easy to keep track of who is in your house. We advise keeping important physical documents in a safety deposit box, but the concept is sound. Physical space is easier to control and has natural barriers and limitation. Why is it then, that so many people treat digital space the same way? Important documents are kept in files on their desktop, or freely given to one another through email. When you give away those documents without taking any security precautions you’re taking a huge risk. Though you may feel secure on your own network, you don’t know what the practices of the other individual are. Do they take any precautions? Is their network encrypted and password protected? Do they save documents haphazardly and often work from coffee shops, using unprotected WiFi connections? 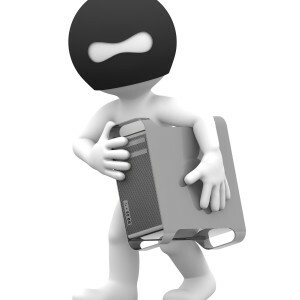 What happens if someone steals their computer, or your computer? Is there anything keeping them from having instant access to items like your tax filing number, social security number, and other commonly used identifiers? At LBS Tax we want you to be safe and secure no matter where you are. Take these simple digital safety precautions and you’ll be better prepared. Password Protection – The easiest and first step is password authentication. You want to have this enabled on any devices you own and your personal network. When you use public networks a VPN service can provide security when the network is lacking. There are many sites that offer tips on creating a strong password. The goal should always be to make something hard to guess but easy to remember. This leads us to encryption. Encryption – Sometimes you want to save specific documents. These can be for tax purposes or others, but with digital documentation eclipsing the physical you need a safe way to do it. Encrypting your documentation can provide a large measure of security and is offered by many companies. One common and free program is WinRaR. This will compress files into an encrypted package and you can even set a password limit. That means if the password is incorrectly guessed the file will corrupt, though it will not keep someone from copying the file before guessing. Sharing – One of the easiest ways to stay safe is to restrict your sharing. Don’t email important documents to people you do not know, do not email unencrypted documents, do not store documents on publicly accessible spaces. Emailing files is not a secure process. They can be intercepted or a mis-typed address can put your documents in a strangers hands. It’s easier and easier for information to get loose, and once it is it can be very difficult to put a cap back onto it. By regularly protecting yourself and restricting informational flow you’ll be one step ahead of the game if something does go wrong because you will know how and when access occurred. Firewalls & Updates – Lastly we have firewalls and updates. You’d be surprised how many updates occur to address security fixes. When these issues come up it’s because a hacker has found a loophole in security. Failing to update these programs can lead to a hole in your own system that is easy to exploit. Always have a trusted firewall program activated, and you can even check security settings to see what programs are able to access the internet. As expansive as technology is, old school methods are always easiest. Protect your social media accounts, do not release information to strangers or believe they are who they say they are without proof. If you ever receive a strange incoming call asking for personal information it is best not to give any. Ask for a first and last name, ask for an extension, ask which company they work for and what number you can call them back at. Then go online, verify this number, and return the call. If the number is different, call the number from the company site and get transferred to the employee from the company operator. It’s a great way to ensure someone works for the company they have stated they do. 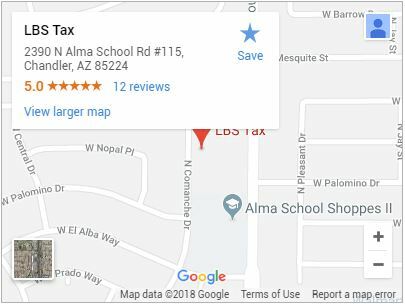 Protect yourself, protect your tax information, and call (480) 644-1249 or contact LBS Tax for a security conscious accountant in Chandler.